RepCamp is an elegant, modern app to place orders and follow up with your customers. 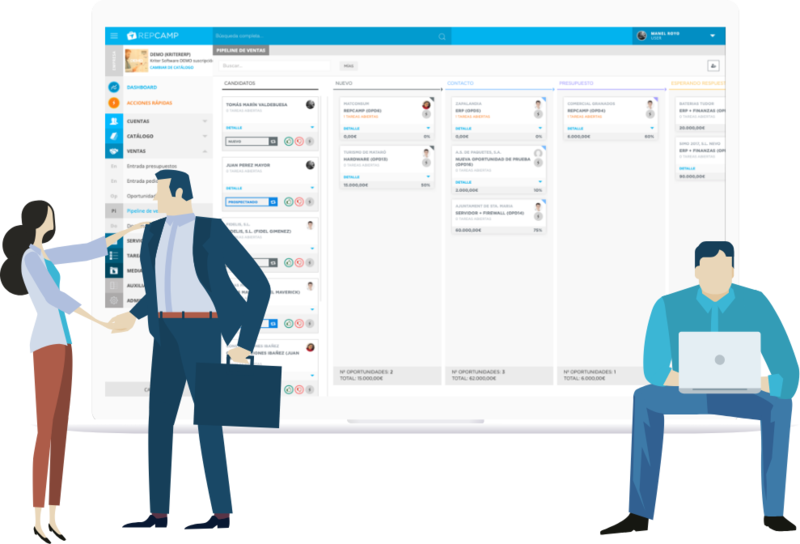 The ultimate CRM and Order Taking platform that has the agility to help your business grow without compromise. 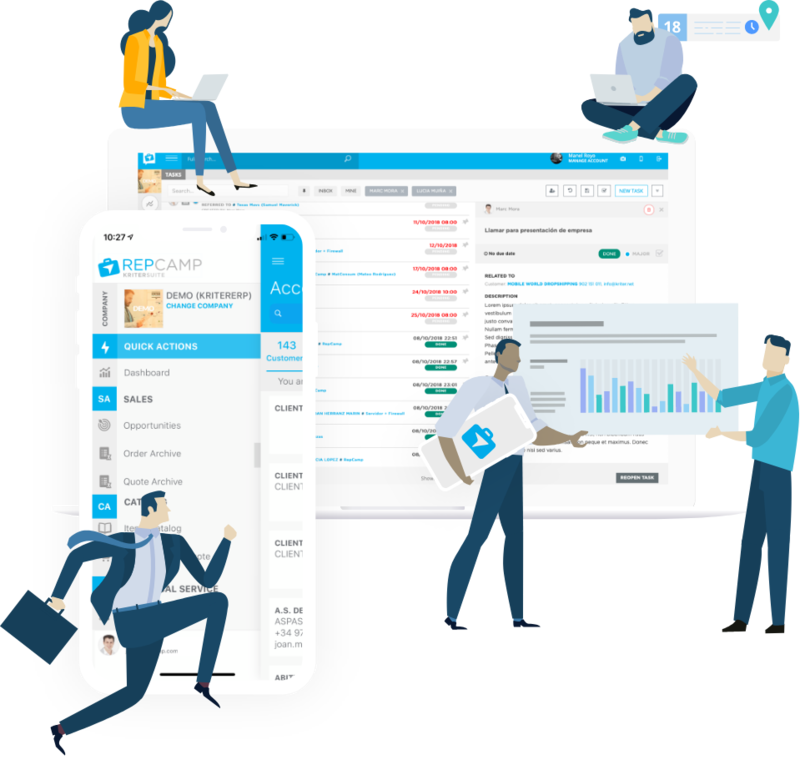 RepCamp meets your needs whether selling products, managing opportunities, generating leads, or providing technical support . 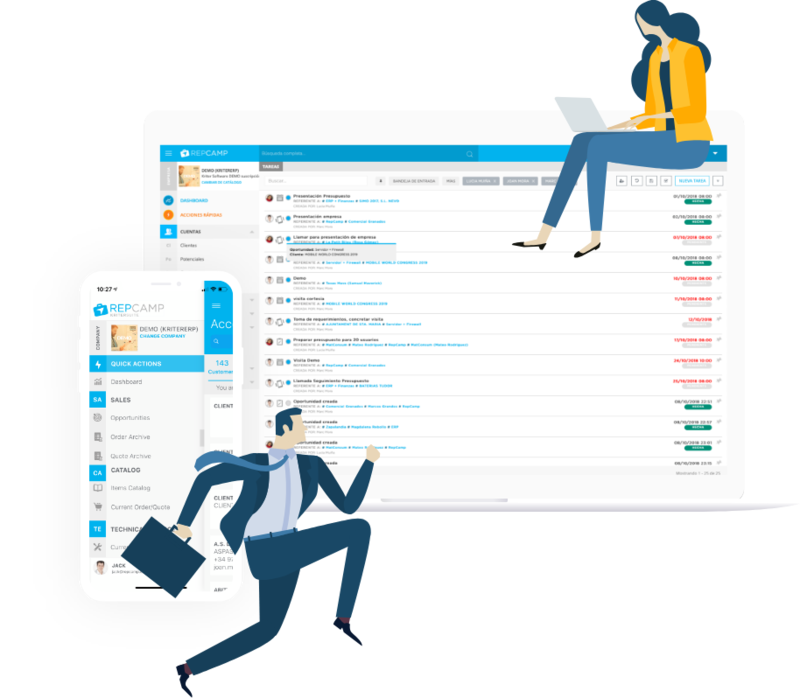 Give your team an elegant and efficient tool that will expand the business process from your ERP management software to your mobile devices. Never write another order by hand again. 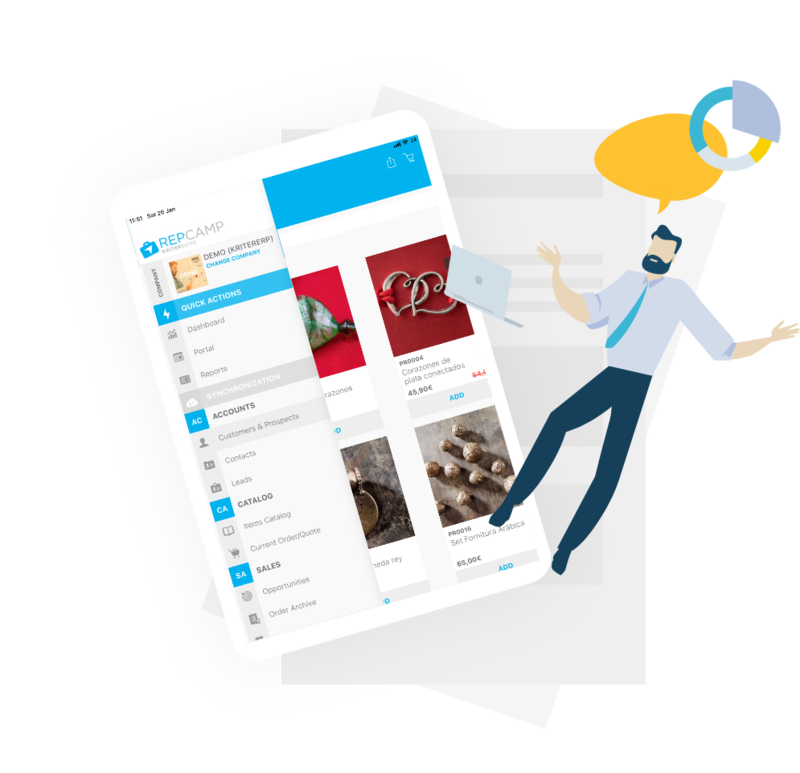 Showcase your catalog on a digital app with always updated prices, inventory and all the customer’s relevant information. Let RepCamp help you beat your numbers by focusing on the customers and not on tedious administrative tasks! on a whole new level. Get to know them better. Identify new opportunities. 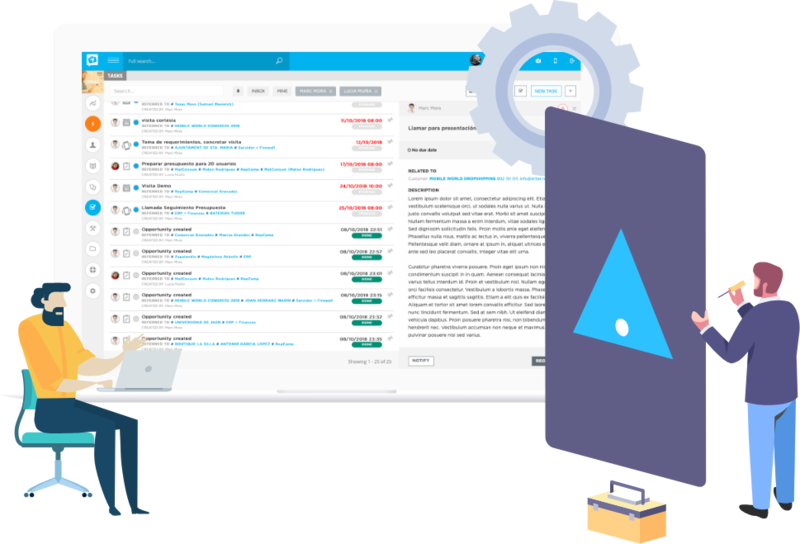 Manage them in order to increase your sales with a simple, yet powerful CRM. Identify your target leads, create marketing campaigns to capture them and generate business opportunities. Open, track, manage, resolve. 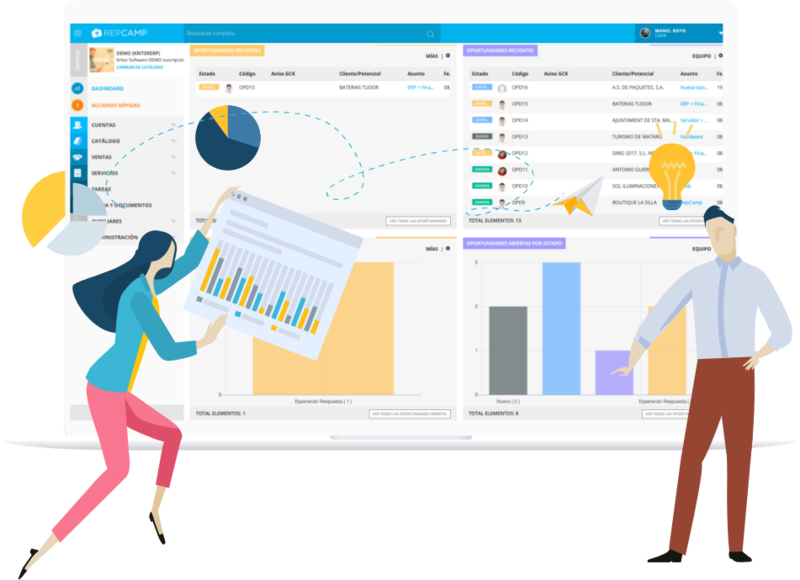 Analyze the cases to improve customer satisfaction and engagement. RepCamp provides your technical fleet with a solution for time accountability, item replacement tracking and close it all into digital work orders! RepCamp is part of the Kriter Software product portfolio. The company has gained invaluable knowledge which informs our innovative and successful product. RepCamp has been benefitting for the past 30 years from the experience of our consultants and customers.